Tanzania is the heaven for nature lovers and wildlife enthusiasts from all around the world. The Mount Kilimanjaro with its majestic presence, the national parks and the wildlife living in them, the sandy beaches and the beauty of wilderness amongst all existing in that remote country of Africa make the travel worthy. You will have the opportunity to experience the safaris and wildlife closely which is definitely a thrill, plus bathe in the African sun lying in fine beaches or enjoy scuba diving and coral garden. Standing in front of the highest mountain peak of Africa and a World Heritage Site, you will find yourself dumbfounded trying to understand the mighty existence of Kilimanjaro and amazed by its unearthly beauty. Mount Kilimanjaro, which is a snow-capped mountain, was formed three million years ago when the Great Rift Valley was forming. For trekkers and passionate climbers, the summit is more than a heaven and it is open all the time of the year; however, June to October is perfect for climbing as it is the Kilimanjaro’s dry season. The mountain is part of the Mount Kilimanjaro National Park. Serengeti National Park is a plain treeless enormous land swarmed by millions of animals - a perfect place for photography, filmed reserves and safari tours. It is such a place where abundance of wildlife, serenity, beauty of nature and dazzling endless summer days can be the ultimate finding of unworldly feeling for you. The park is mostly famous for the migration of 1.5 million wildebeest and 250,000 zebras from one side of the park to the other in search of food. This is the greatest attraction for tourists, wildlife lovers and researchers from all around the world. The islands of Zanzibar and Pemba are combinedly called Zanzibar archipelago. The island of Zanzibar, also known as Unguja, has mostly attracted tourists and beach goers for its white sandy beaches and has become the major holiday destination for people all around the world. Walking barefoot on the soft white sand, the clear water and the traditional boat riding will give you additional pleasures and an opportunity to escape from the everyday busy and boring modern life. Zanzibar’s most attractive place is Stone Town, a historically important place which was the former capital of the Sultanat. Its artistic value brings tourists here from all around the world. Tarangire National Park is perfect place to visit in dry season when the animals gather along the river. The migratory wildlife of the park composed of gazelle, buffalo, impala, zebra, hartebeest, wildebeest and eland creates the greatest crowd around the lagoons. The most charming thing about the park is the Baobab tree. It is also a perfect place for bird lovers as more than 300 species of birds have been recorded hovering in the park. The largest game reserve of Africa is Selous, which covers 5% of the area of Tanzania. Except for the southern area which is an undeveloped and forbidden zone to people, the north part of the Rufiji River is open to travelers and tourists. The land contains grasslands, rivers, hills and woodlands. The best for a tour to this amazing place is from July to October, and the best thing about the game preserve is you can enjoy the diversity of wildlife here. 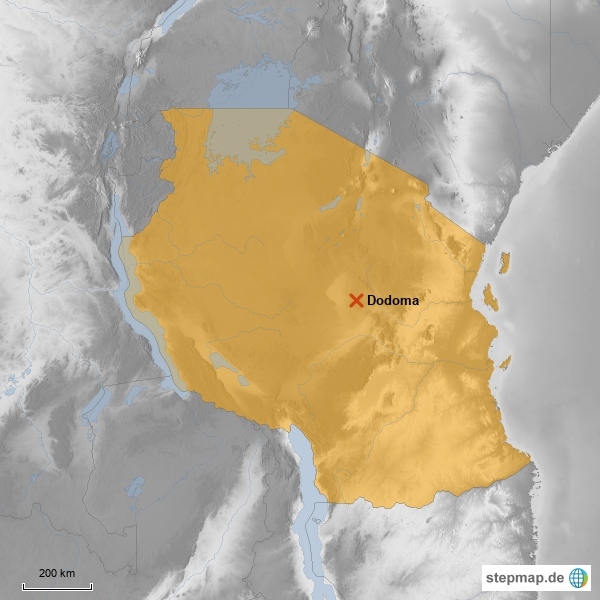 Arusha National Park is smaller than the other parks of Tanzania. The forest of Mount Meru, Ngurdoto Crater in the south and Momela Lakes, a series of seven crater lakes are the places of attraction for tourists. Black and white Colobus monkeys, buffalo, zebra and warthog are amongst the wildlife in the park. The most catching part in the park is it is a safe home for local and migrant waterbirds. Mount Meru is also the second highest mountain of Africa and one of its most beautiful volcanoes. Lake Manyara National Park could be another attraction for you as it has a combination of forest, woodlands and swamps. Two-thirds of the land is covered by water or swamps, and at a certain of every year, Lake Manyara becomes a homely place for thousands of flamingos and migratory birds. Lake Manyara National Park also holds the large portion of elephants, lions and hippos. This is a place of great opportunity and thrill for the tourists and wilderness lovers to observe the wildlife than other places in Africa. The park is also a safe home for numerous baboons in the world. You can enjoy wildlife as well as canoeing and mountain bike ridings and all the activities take place in this place. Mafia Island drags scuba divers from all corners of the world to the underwater world, which is preserved by the Mafia Island Marine Park. If you want to discover the world beneath the surface of the water, October to March is the perfect time for it. Underwater homes exquisite coral gardens, 400 kinds of fishes swimming around and a serene environment that would make you feel like meditating. Overall, it is a paradise upon this planet that is a perfect desirable location for tourists and holiday goers. Ruaha National Park is the second largest park of Tanzania. The wildlife here includes a large herds of buffalo, elephant, gazelle and 400 species of birds. It’s a paradise for birdwatchers, too. Beside the river, eye-catching gorges and majestic trees are very appealing to wildlife photographers. The great Ruaha River also provides a stunning view of wildlife on its banks.